Tagging users on Instagram is a great way to boost the engagement of your posts. You can use tags to grab the attention of influential accounts, forge relationships with customers and followers, or simply include your friends and family in meaningful Posts. 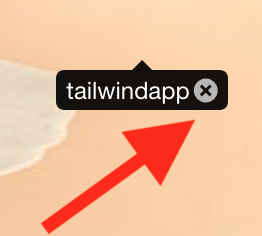 When using Auto Post with Tailwind for Instagram, you can schedule images with user tags included! You can add up to 20 users per post. Please note that user and location tagging work for single-photo posts scheduled with Auto Post only. 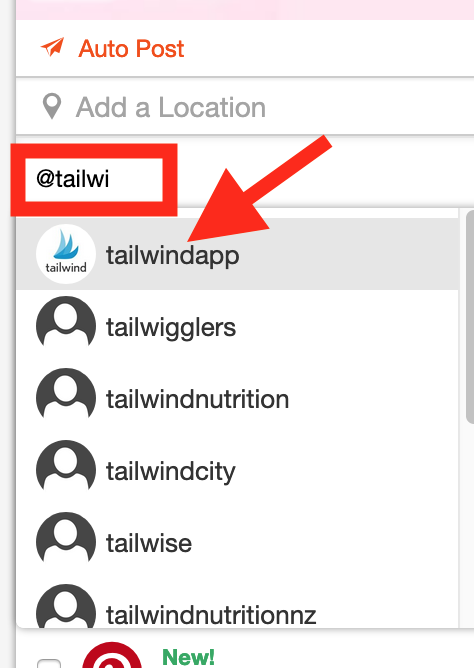 Create your draft post in Tailwind as usual. Click on the new “tag” button. Click the part of the image that you would like the tag to hover over. Start typing the Instagram username of the user you wish to tag or select from a list of recently-tagged users. Your post will now publish with user tags added to your photo, and tagged users will receive a notification on Instagram once your post publishes! To remove a tag from a draft post, simply click the grey X to the right of the username. You can also tag people in the caption section of your Instagram post. Just start typing @ and the username of who you would like to tag to see suggestions. When you see the username you wanted to add, click on it to add it to your caption.